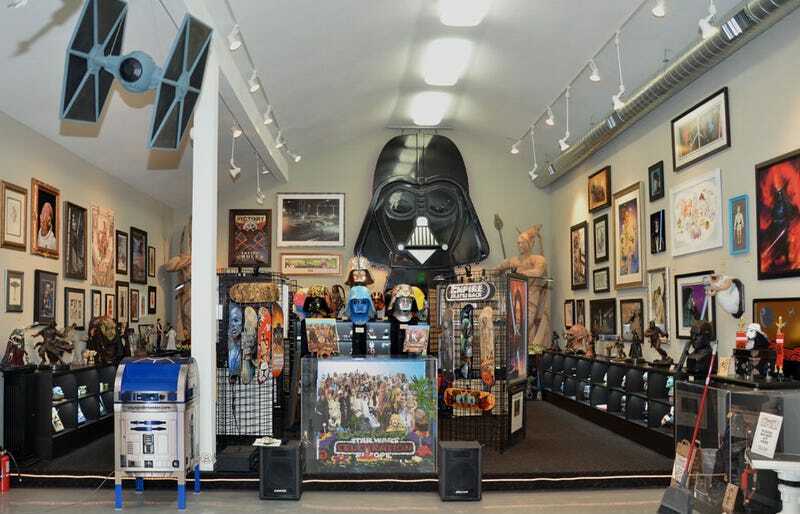 This morning, the man who owns, displays, and offers tours of the world’s largest privately-owned Star Wars collection announced that he’s been systematically robbed over the past several months. According to Sansweet, the thefts were discovered when the sale of an ultra-rare Boba Fett action figure was tracked from its buyer to a man named Carl Edward Cunningham. Cunningham, whom Sansweet refers to as “a good and trusted friend,” surrendered to police at the end of March but is currently out on bail pending additional hearings. The Rancho Obi-Wan site is urging any fans who have found themselves in possession of any too-good-to-be-true vintage Star Wars collectibles that may have been stolen by Cunningham to contact them to figure out if it’s one of the pieces in question. All of the pilfered items were on display as part of Sansweet’s collection at Rancho Obi-Wan, which is run as a non-profit organization; proceeds from tours are donated to various charities. For more on this story, and information on how to contact the organization, visit the below link. Update: We added the statement from Sansweet.